John Shaw has been a professional nature photographer since the early 1970s and has photographed on every continent, from the Arctic to the Antarctic, from Provence to Patagonia. His images have been published widely, in advertising, books, and calendars. He was the recipient of the first-ever Outstanding Photographer Award, given by NANPA (North American Nature Photography Association), and was named by Nikon as a Legend Behind the Lens. 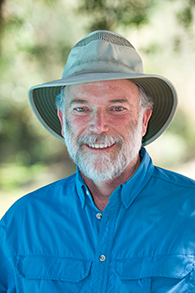 He is the author of seven books on nature photography, the latest being John Shaw's Guide to Digital Nature Photography (March 2015 available in print or eBook). He has also published eight eBooks on Photoshop and Lightroom. He makes his home in McMinnville, Oregon. Joseph Van Os Photo Safaris has been the world leader in innovative photography tours and workshops since 1980. Our photo tours are built from the ground up for—and by—photographers who want to experience and photograph the world's top wildlife, nature and traditional cultures locations. Our well-planned itineraries include lodging, meals, ground transportation and thoughtful, world-class professional photographer guides. Travel with congenial, like-minded and enthusiastic photographers, of all levels, whose primary interest is outdoor photography. Copyright © 2015 - 2016, Joseph Van Os Photo Safaris. All Rights Reserved. All images are copyrighted to the various photographers.